The Mom Bag is for newly arrived refugee mothers. Each bag includes items that help provide dignity and self-confidence to their already amazing selves and to help ease the transition of a new country and home. The Mom Bag emerged from becoming friends with a refugee woman from Syria in 2016. We grocery shopped together to help introduce her to American culture. One day while shopping, she stopped to smell all the lotions and soaps. She told me she hadn't been able to buy these things in four years since her house had been bombed. We bought self-care items together and that evening, she sent me a message that she felt like herself again. Thus began The Mom Bag. After creating a pineapple bag (symbolizing "welcome!") and posting an Amazon wishlist the same day, I had over 1000 self-care donations for refugee women at my house by the end of the week! Since then, we've had 4 Mom Bag packing parties in Nashville and it has spread to other cities like LA, St. Paul, Louisville, Indianapolis, and Charleston. It has been a true group effort to make this happen and I couldn't be happier to welcome these women to Nashville and across the US. Thank you to Southern Living Magazine for featuring this project in your "Meet 50 people moving the South forward with groundbreaking nonprofits, impactful projects, and innovative ideas." in 2016! 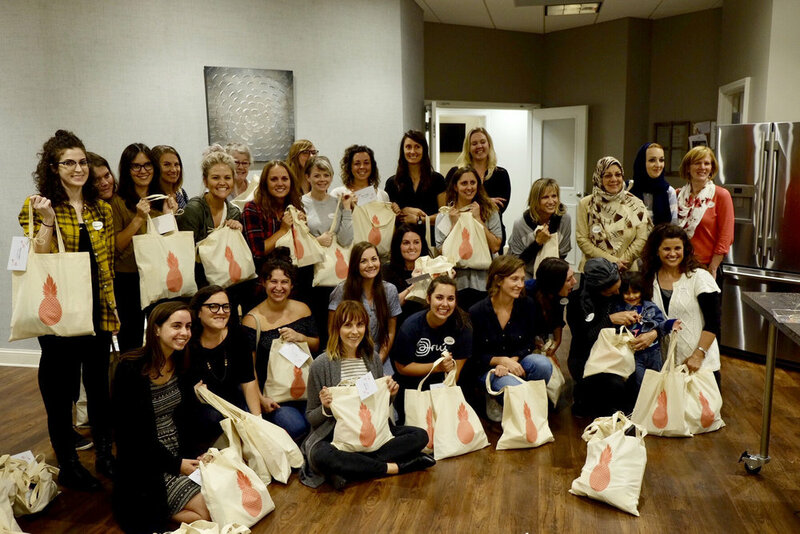 Want to create your own mom bags for refugees in your community? Click here to find your nearest refugee resettlement agency. Connect with them to tell them about The Mom Bag project and how you wish to provide self care bags for refugee mothers. Click here to create an Amazon Wishlist with self care items that people can easily purchase and have sent directly to your home, organization, or church. *Tip* Try to choose items that are labeled "Amazon Prime"...this allows free shipping for those that have an Amazon Prime account. Download this image to use for your social media accounts to post about The Mom Bag. Also include the link to your Amazon Wishlist. Feel free to use the tag #TheMomBag so we can see other Mom Bag initiatives! Download this printable flyer for your work, school or church. 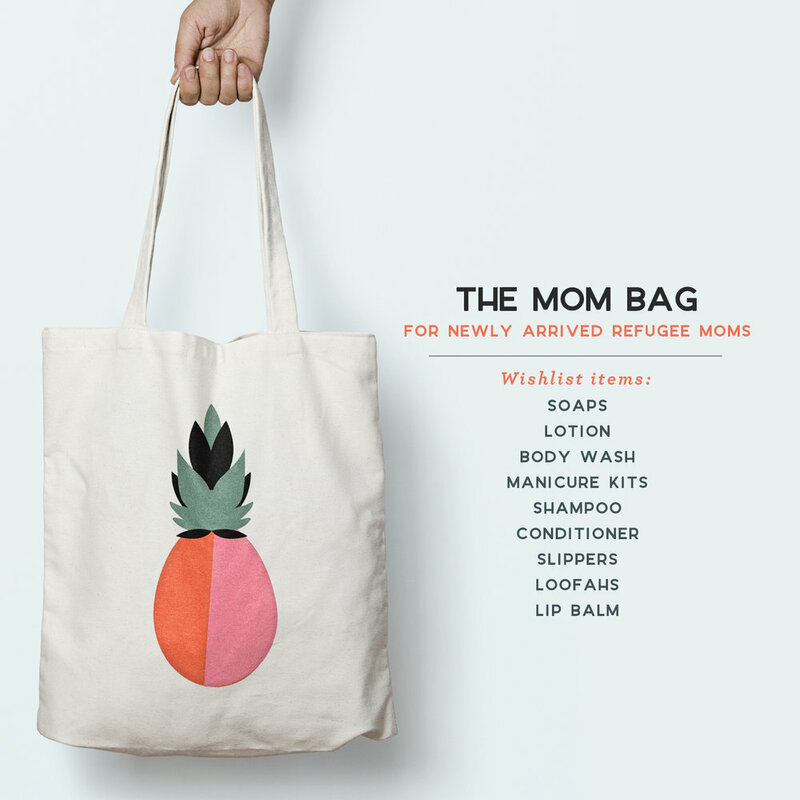 If you wish to purchase and print The Mom Bag pineapple design (that means "welcome!) onto totes, please submit your purchase order through Grand Palace Silkscreen. Have a packing party! 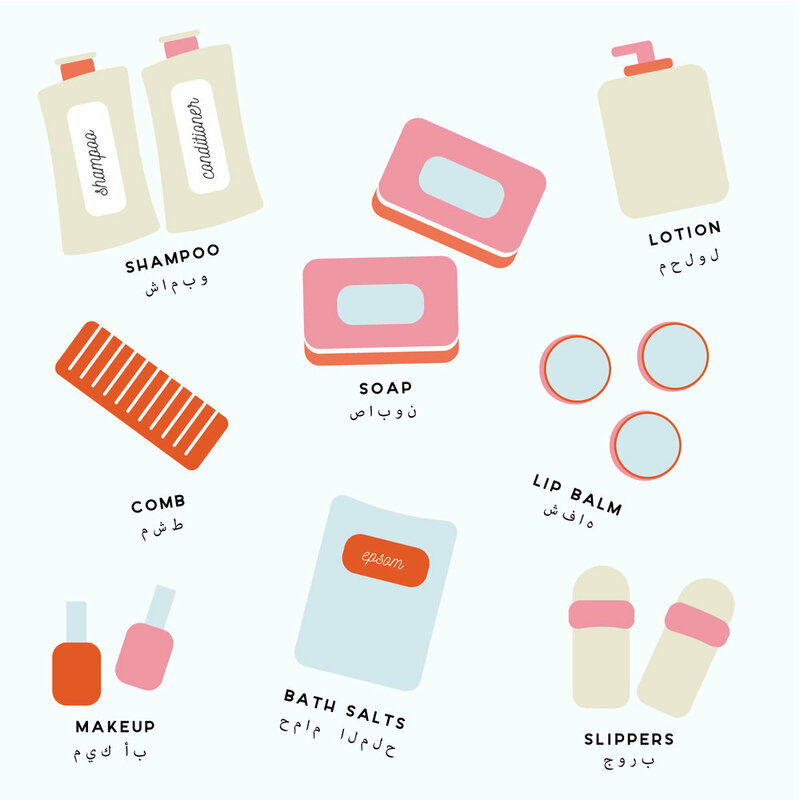 Invite your friends, neighbors, and local refugees to attend in packaging up the bags. After completion, deliver the bags to your local resettlement agency for distribution! *Tip* Print these welcome cards to attach to each bag. Sign-up to be notified of more volunteer opportunities!